Pacific Gas and Electric was forced to make “trade-off decisions” between keeping rates affordable for consumers and spending more money to cut its wildfire risk, one official said in a regulatory filing submitted two years before the North Bay firestorm. “Risk cannot be completely driven out of PG&E’s – or any – business,” Janaize Markland, a PG&E risk manager, stressed in May 2015 as she described the company’s risk assessment practices to the state Public Utilities Commission. The statement appears to be in sharp contrast to CEO Geisha Williams’ testimony in July that the company has zero tolerance for vegetation contact wildfires. The seemingly divergent views could become significant while investigators and lawyers work to unravel the causes of the North Bay firestorm, the worst in modern California history. More than 15 lawsuits have already been filed against the power company. 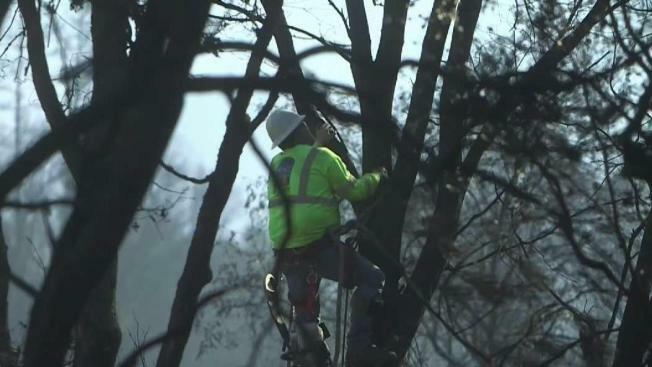 Despite what Markland called a “robust” and “award-winning” vegetation management program, PG&E had been averaging 17 outages per 1,000 miles of power lines each year due to trees coming into contact with lines. Such contacts, Markland acknowledged, led to a “small number” of wildfires in the utility’s more than 100,000-mile power distribution line system. Markland conceded that PG&E could reduce that number, but that could have consequences for rates. “It may be possible to drive tree-related outages to less than 17 per 1,000 miles or to have less than 0.02 percent of trees in contact, but that would require a level of investment greater than what PG&E is making today,” she wrote in her assessment. But in testimony in the Butte fire litigation, Williams rejected the idea of tolerating any wildfire risk. “The reality is we have zero tolerance,” she said in a videotaped deposition over the company’s responsibility for the Butte fires that left two dead and burned more than 70,000 acres. The company added in a statement Monday that it checks all of its power lines each year and some more than once. "PG&E meets or exceeds all applicable federal and state vegetation clearance requirements,” company spokesman Greg Snapper said. Last year, because of the drought, the company doubled its spending on vegetation management to $400 million. Tom Long, an attorney for the ratepayer advocacy group TURN, said when it comes to wildfires, PG&E should make sure it always spends all the money to ensure safety.